Snow White and the Seven Dwarfs (RKO, R-1951). Three Sheet (41" X 81"). Walt Disney's timeless classic is one of the top animation films of all time and is always a hit with poster collectors. 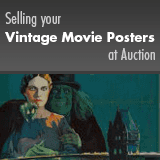 This stunning three sheet is excellent condition and will make an important addition to any collection. Near Mint.